222 students studied abroad in the summer semester of 2017. This was Towson’s largest group ever to study abroad in a single term. Through a focus on increased funding, access, curriculum and integration, TU has pushed students towards studying abroad. Senior Amanda Jean Thomas studied abroad in London during the minimester 2017 term on the Corporate Communication in the UK faculty-led program. Thomas is one of four peer advisors in the Study Abroad office. 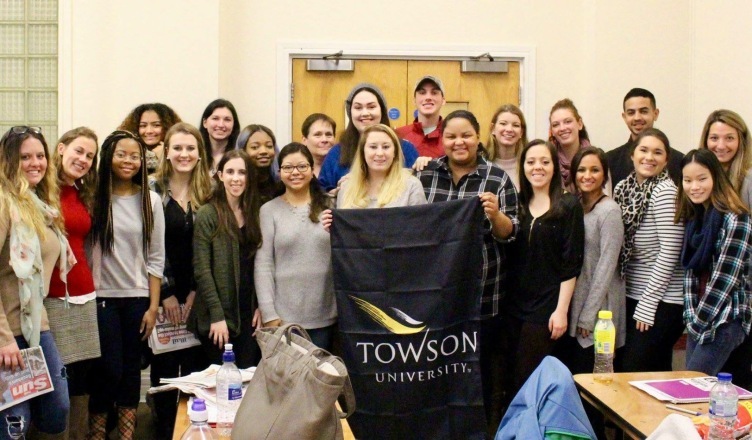 The study abroad program at Towson, TU Abroad, focused on increasing participation specifically from underrepresented students as part of their initiative to increase the number of students abroad. These students include first-generation college students, students with disabilities, people of color, certain majors, athletes, non-traditionally aged students, students coming from community colleges, students who have children and LGBTQ+ students. There is also a new scholarship called the TU Institutional Diversity Study Abroad Scholarship to encourage diverse populations to study abroad. Faculty-led programs are popular among students because of their short length and ability to fit into student schedules. They can be as short as a week during spring break or as long as six weeks in the summer or winter. According to Villamar, last year there were over 20 faculty-led programs. These programs help increase the ability of students in specific colleges to go overseas. Study abroad participation has tripled in the College of Education, and nearly doubled in the College of Health Professions. Villamar also talked about the fact that faculty-led programs help students get credits completed. Other TU Study Abroad programs include TU exchanges, TU programs and non-TU programs. The TU exchanges can be a semester or yearlong program where students pay Towson tuition to the University, and go study abroad at a partner institution. Towson has 18 of these exchange programs. Thomas agreed; she also indicated the cost-effectiveness of the TU Exchange program. The TU programs have a similar structure to the exchange programs, but the price varies generally between in-state and out-of-state tuition. Non-TU programs are programs offered through approved affiliate study abroad providers, and they help fill the gaps in areas of the world where TU doesn’t have its own programs. TU Abroad has reached its target growth goal, but is continuing on doing outreach to encourage more students to study abroad. Thomas reflected on her own experiences studying abroad and indicated the positives that can come from it.